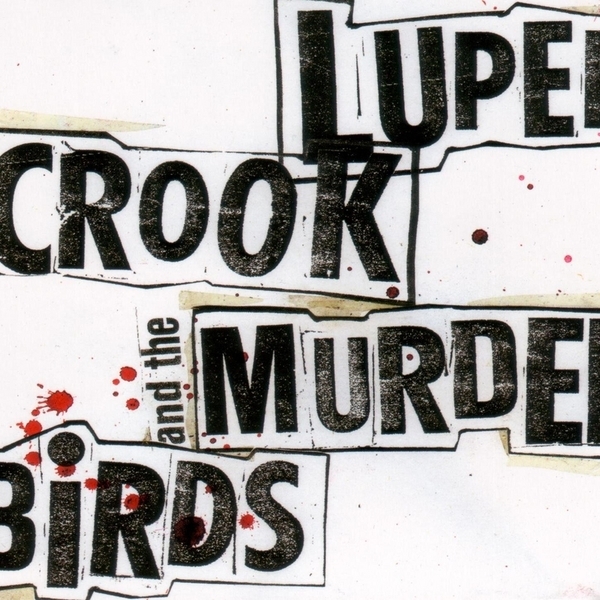 Weirdo folkie Lupen Crook (aka Matthew Pritchard) returns with a new band at his side, The Murderbirds, who presumably at the heart of the thunderous metallic riffsmanship on opener 'Cackle And The Crown'. All the powerchord intensity drops out again for The Number Of Frames though, which recalls the baroque acoustic work of Espers, albeit with Mr. Crook's distinctive nasal whine as its driving force. It's a real love/hate binary with this guy: his success is largely at the mercy of how you feel about the contrived, distorted vocal he delivers, something which is always in danger of glossing over his often excellent lyrics. If you're down with the voice, your next hurdle lies ahead in 'Matthew's Magpie', featuring an odd ska-based verse that might just bring to mind The Police, which on reflection, probably isn't an entirely awful proposition. The brass is in tow for 'Summer Time', which is a bit like a hard-rocking showtune reinterpretation of a Ray Davies song - in fact much of this album is defined by an unlikely melding of disparate, awward styles within the course of a few bars. It's an admirable, ambitious enough trait, but you get the feeling Pritchard will only really hit his stride when he works out how to resolve some of these jarring oppositions.